Elliot, 21 months old. He wears glasses for esotropia and farsightedness. 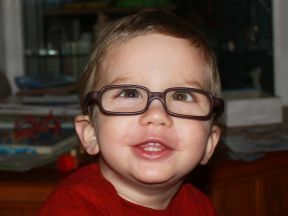 This is his first day wearing glasses- they are by Miraflex.